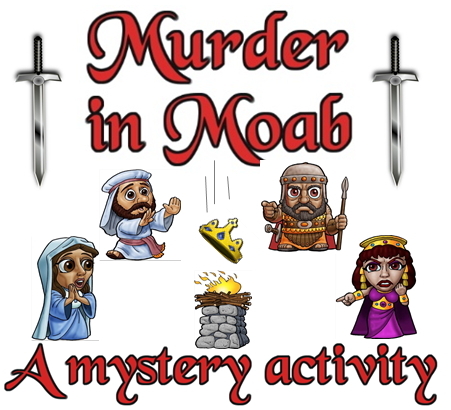 Murder in Moab is a role playing party game activity. Someone has assassinated King Egghead and it’s up to you to figure out whodunit. Players are suspects and investigators in this murder which is loosely based on Ehud in Judges chapter 3. Judges reader's theater - Every chapter adapted from the Holman Christian Standard Bible. Gideon or Midian - Who will win the battle? Ruth the Radio Melodrama - set in a radio station, the audience provides sound effects.